If you are seriously injured in a motor vehicle accident, the insurance company involved in your personal injury case may scrutinize your every move. That is why it is important to know what to do to prevent the insurance company to use your actions to minimize your claim. As soon as you are able, seek the guidance of an experienced personal injury attorney. To say insurance investigators use questionable tactics to reduce your claim is an understatement. They have been known to visit a victim in his or her hospital room to attempt to coax a statement or even offer a minimal settlement before the patient had a chance to seek legal counsel. Never speak to anyone except your lawyer. Below are some guideline dos and don’ts to apply following a motor vehicle accident. Seek safety – Make sure everyone is out of harms way as long as they can move on his or her own or if further danger is imminent, such as oncoming traffic or fire. Occupants who cannot be moved should remain buckled in. Turn on emergency flashers and put out cones and flares from you emergency car kit if available. Call 911 – Summon help immediately even if there are no apparent injuries. Let the first responders control the scene. Collect evidence – If possible, get the names and personal information of all involved as well as witnesses. Get license numbers of the vehicles involved and take as many pictures of the accident as possible as well as the surroundings and roadway. Seek medical care – If you are offered medical care at the scene do not refuse it. This is a time and date stamp on the accident and any injuries. It will also help to determine if you are more seriously injured than you think. Do not assume you are OK if you feel little or no pain. The adrenaline of a traumatic incident can mask a serious injury. Be sure to follow the instructions and orders of your doctors. Failure to do so is an opportunity for the opposing insurer to blame you for worsening your condition. Contact your health insurance provider – Be sure that your health insurance provider is being billed for the medical care you receive. Failure to do so may require you to use your awarded damages to pay for astronomical medical expenses. Contact a Motor Vehicle Accident Attorney – As soon as possible it is imperative that you reach out to an experienced motor vehicle accident attorney to increase the chances of maximizing and protecting your financial recovery. Your lawyer will help you file a personal injury case and conduct an in depth investigation to prove the facts in your case. Don’t speak about the accident – Do not provide any verbal or written information about the accident to anyone other than the police. The at-fault driver’s, or even your own, insurance investigator may try to pry a statement from you that will be used against you later to lower your compensation. Don’t give the insurance company permission to see your medical records — Before your grant permission to anyone to see your medical records, speak to your attorney first. You can always get them yourself and provide them if your attorney approves. Don’t accept any offers without consulting your attorney – The cost of serious injuries over a lifetime are greater than you know but not more than the insurance company knows. An offer that seems like a large sum of money spread over thirty or more years, is rarely enough to live on if you lose your ability to work at your profession or work at all. Add to that your uninsured long term medical costs, rehabilitation, pain and suffering, special needs and more. 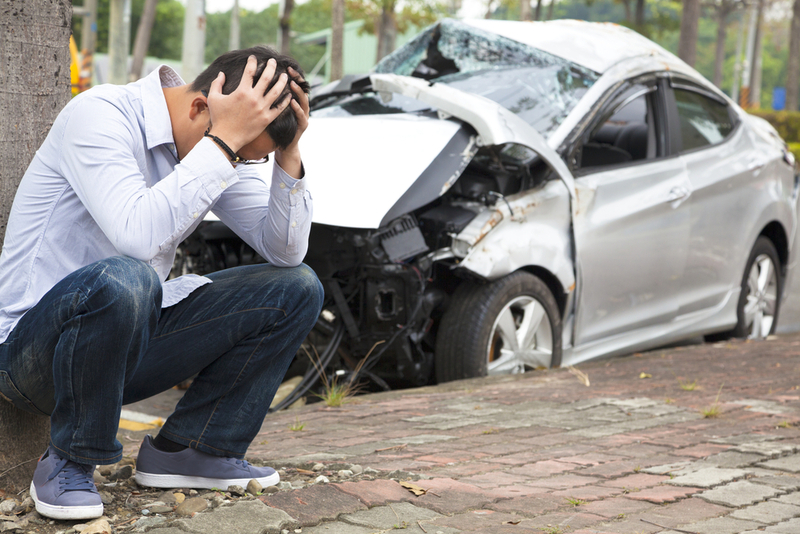 Only your auto accident lawyer knows the true value of your case. Once the settlement is signed, the at-fault party is only liable for the agreed upon damages. Do not assume you can’t collect damages if the other party is uninsured – Most insurance policies have an uninsured driver provision that allows a claim though your own insurance policy. This provision will usually cover a hit and run also.